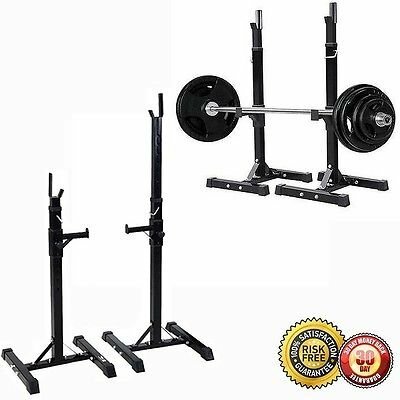 This auction is for a brand New heavy duty standard solid steel squat stands for barbell. The Barbell Stands are adjustable to fit each person's height. H frame bases allow a stable stance while in use.Safety catch bars available for emergency needs. Rubber end caps protect the floor from scratches.